Time for another ShukerNature Top Ten! Today, the only known living dinosaurs are of the avian variety – birds. However, the chronicles of cryptozoology are bulging with reports of mystery beasts that have been likened or potentially identified with other, supposedly long-vanished dinosaur forms. Here, then, in no particular order is my personal Top Ten of putative living dinosaurs of the non-avian, cryptozoological kind. 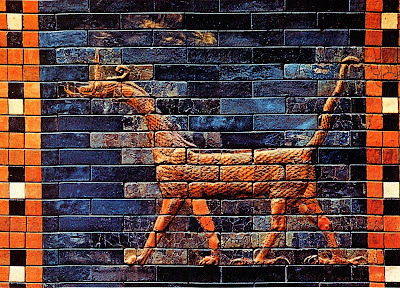 THE MOKELE-MBEMBE – A CONGOLESE WATER DRAGON, OR A DINOSAUR OF THE ISHTAR GATE? According to the resident pygmies here, the vast, remote, and virtually inaccessible Likouala swamplands of the People's Republic of the Congo (formerly the French Congo) are home to a 27-ft-long amphibious 'water dragon' known as the mokele-mbembe ('one that capsizes boats'). 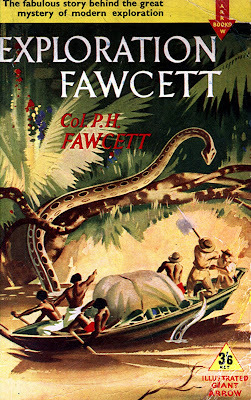 They describe it as reddish-brown in colour, with a small head but very long neck and tail, an elephantine body, four sturdy limbs that leave behind large three-clawed footprints, and an appetite for the Landolphia gourds, which it browses upon like a reptilian giraffe, sometimes while still partly submerged in water. It is most frequently sighted by the native people in or near a very large body of freshwater known as Lake Tele. The mokele-mbembe has been sought unsuccessfully by a number of Western expeditions since the 1980s, its most famous and tenacious seekers being now-retired Chicago University biochemist and spare-time cryptozoologist Dr Roy Mackal, and Scottish field cryptozoologist Bill Gibbons (via two Operation Congo expeditons and who has also sought similar beasts in Cameroon). Of particular interest is that when a range of animal images have been shown to the natives in an attempt to gain more information concerning the mokele-mbembe's appearance in the hope of identifying it, the images consistently claimed by alleged eyewitnesses to be closest to it have been ones depicting sauropod dinosaurs from prehistory, such as Diplodocus and Apatosaurus (formerly called Brontosaurus). Indeed, Mackal and Gibbons both consider a species of living, modern-day sauropod, surviving undisturbed in the Likouala's secluded and relatively inaccessible, inhospitable terrain, to be a plausible identity for this elusive creature. Another popular suggestion is that it may be a very large monitor lizard with an exceptionally long, elongated neck, but no such form of monitor is known from either the present day or the fossil record. And whereas monitors are almost exclusively carnivorous, the mokele-mbembe is entirely herbivorous. Adding veracity to its eyewitnesses' testimony, similar creatures (known by such names as badigui, amali, and n'yamala) have been recorded elsewhere in tropical Africa too - including the Central African Republic, Cameroon, and Gabon. 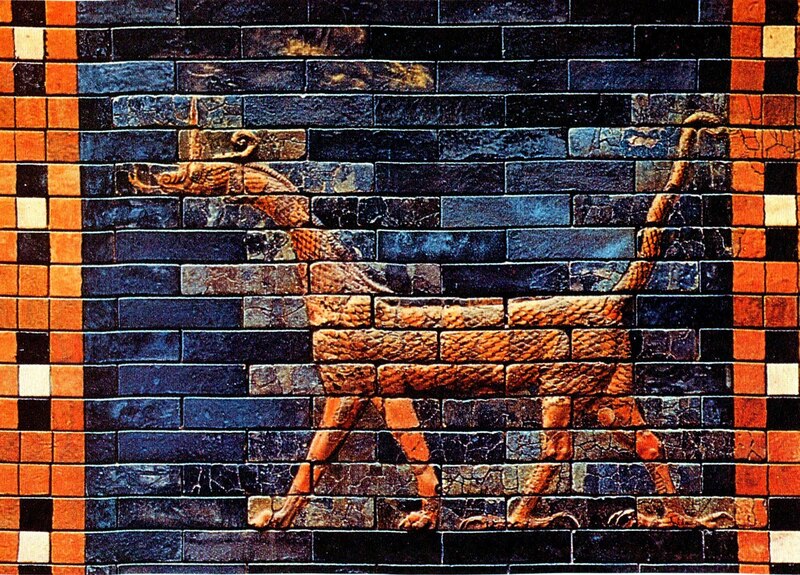 Perhaps the most intriguing aspect concerning the mokele-mbembe is how closely it resembles the Babylonian mushussu dragon as depicted on the Ishtar Gate. And it is known that early glazed bricks identical to those used in this gate's creation have been recorded from Central Africa - leading some naturalists to suggest that perhaps the early Babylonians visited this African region to obtain bricks for the gate, saw mokele-mbembes there, and upon their return to Mesopotamia their descriptions of this creature inspired the depictions of the mushussu on the gate. Boldest but most fascinating of all is the suggestion that at least one young mokele-mbembe may even have been transported back to Mesopotamia alive, explaining the so-called dragon that was worshipped in a temple by the Babylonians until killed by Daniel. KULTA AND BURRUNJOR - DINOSAURS OF THE DREAMTIME? This is how Rex Gilroy, a veteran investigator of Australian mysteries, has referred in his book Mysterious Australia to two of this island continent's least-publicised but most fascinating mystery beasts - the kulta and the burrunjor. According to ancient Central Australian aboriginal lore, the kulta inhabited the great swamps that existed long ago in the far north, browsing inoffensively upon the region's lush vegetation. It possessed a small head, an exceedingly long neck and tail, an enormously bulky body, and four sturdy legs. This description is irresistibly similar to that of the sauropod dinosaurs, such as Diplodocus and Apatosaurus. Yet the aboriginals have no palaeontological knowledge, so how are they able to describe so accurately a type of reptile that officially died out millions of years ago - unless at least one lineage did not die out, but persisted undisturbed in this remote locality right into historic times? Yet whatever it was, it is no longer - centuries ago the swamps dried up, and the kulta died out. Even more extraordinary, however, is the burrunjor, a terrifying tyrannosaur-lookalike named after Burrunjor - a remote expanse of Arnhem Land in northern Australia where, according to longstanding Aboriginal testimony, this huge reptilian monster is said to live. Here it is even depicted in local Aboriginal cave art, portrayed as a gigantic bipedal creature, and enormous unidentified tracks have been reported from this region. Varanids (monitor lizards) will sometimes rear up and run for a time on their hind legs, and there are some notably large varanid species native to Australia. So could this be the true explanation for the burrunjor - or should we be seeking an animate anachronism thriving amid the primeval wildernesses of Arnhem Land? The mokele-mbembe may well be the most famous Congolese 'neo-dinosaur', but it is not the only one. Sharing the latter’s inaccessible swamp-dwelling habitat in the People’s Republic of the Congo are several other mystifying creatures still awaiting formal identification by science, of which the most extraordinary must surely be the emela-ntouka (‘killer of elephants’). According to the local pygmies, this is a truly ferocious beast, reddish-brown in colour, hairless, and almost as large as an elephant itself, with massive legs, but able to submerge itself completely underwater. If an elephant attempts to cross a swamp or lake containing this formidable beast, the emela-ntouka will attack it savagely, disembowelling the hapless elephant with the long sharp ivory-like horn mounted on the emela-ntouka’s snout. It does not devour the elephant afterwards, however, as it is strictly herbivorous. 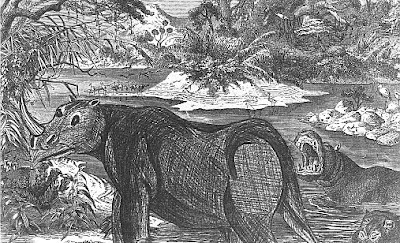 In the past, some cryptozoologists have attempted to identify the emela-ntouka as an unknown type of aquatic, swamp-dwelling rhinoceros. However, whereas the horn of all other modern-day rhinos is formed of compressed hair, the emela-ntouka’s is said to be solid ivory, just like the tusks of elephants. Also, it is described as having a very long, heavy tail, which is very different from the short, inconspicuous tail of all known living rhinos. During his two separate 1980s expeditions to the Congo’s Likouala swamplands in search of the mokele-mbembe, Roy Mackal collected several reports and descriptions of the emela-ntouka too. These led him to speculate whether this remarkable beast could conceivably be an undiscovered, modern-day descendant of the ceratopsian dinosaurs, exemplified by such famous prehistoric stalwarts as Triceratops and Styracosaurus. 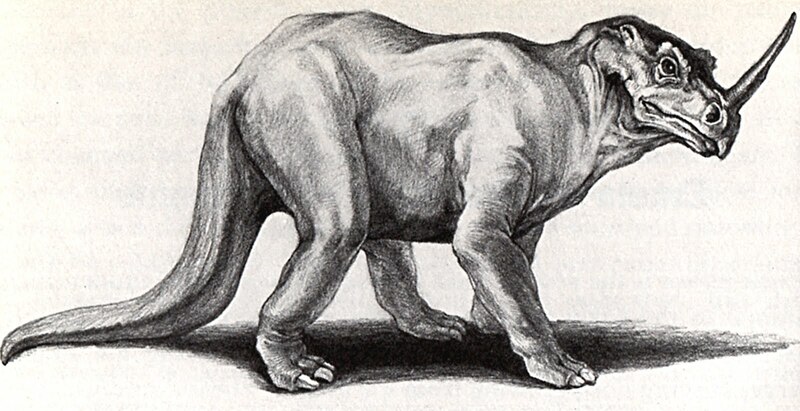 Moreover, the one-horned Monoclonius would have borne a very close resemblance to the emela-ntouka, right down to the latter’s long heavy tail and its horn of bone, not compressed hair. Its only major difference is that whereas ceratopsians were known for the long bony frill protecting their neck, no such structure has been reported for the emela-ntouka. THE ANOMALY OF ANGKOR WAT - A STEGOSAUR IN CAMBODIA? Cryptozoological riddles can turn up in the most unlikely places, but few can be as unexpected as Cambodia's perplexing dinosaur carving. One of this country's most beautiful monuments is the jungle temple of Ta Prohm, created around 800 years ago, and part of the Angkor Wat temple complex. Like others from this time, it is intricately adorned with images from Buddhist and Hindu mythology, but it also has one truly exceptional glyph unique to itself. Near one of the temple's entrances is a circular glyph containing the carving of a burly, small-headed, quadruped beast bearing a row of diamond-shaped plates along its back - an image irresistibly reminiscent of a stegosaurian dinosaur! This anachronistic animal carving is reputedly popular with local guides, who delight in baffling western tourists by asking them if they believe dinosaurs still existed as recently as 800 years ago and then showing this glyph to them. Could it therefore be a modern fake, skilfully carved amid the genuine glyphs by a trickster hoping to fool unsuspecting tourists? Or is it a bona fide 800-year-old artefact? If so, perhaps it was inspired by the temple's architects having seen some fossilised dinosaur remains? After all, it surely couldn't have been based upon a sighting of a real-life stegosaur...could it? Tasek Bera or Bera Lake is a very large, deep lake in the Malaysian state of Pahang, and according to the traditions of the local Semelai people it was (and still may be?) home to a number of huge water dragons whose scales were slate-grey when young but became golden as they matured. They had very long necks, serpentine heads bearing a pair of snail-like horns, sturdy bodies, and long tails. As they never emerged onto land, however, no-one had ever seen their limbs. These beasts' presence was confirmed by their loud, trumpeting cry. As documented in his book, The Lost World of the East (1958), explorer Stewart Wavell paid two visits here during the 1950s to search for them, but he never saw one. However, on one occasion he did hear a strident, twice-uttered staccato sound emanating from the centre of the lake that matched the native description of these creatures' cry. Was it just the trumpeting of an elephant – or the voice of a golden dragon? Worthy of note is that reports of creatures very like the Congolese emela-ntouka have emerged from elsewhere in tropical Africa too. Zambia’s Lake Bangweulu is reportedly home to the single-horned chipekwe (‘monster’), with similar creatures also reported from Lake Mweru, Lake Tanganyika, and the Kafue swamps. The Democratic Republic of Congo (formerly Zaire) also has its own counterpart, dubbed the irizima, and there are even reports from as far west as Liberia. In 2004, a French mokele-mbembe seeker called Michel Ballot photographed a stunning wooden sculpture of what can only be an emela-ntouka-type beast while visiting a village in northern Cameroon. 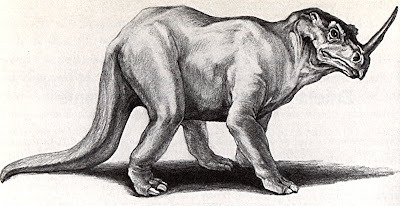 It clearly depicts the animal’s elephantine body, single snout-horn, and long hefty tail, as well as a pair of small frilly ears not previously alluded to in accounts of this cryptid. Moreover, I have recently made a remarkable discovery of an entirely independent piece of native artwork that substantially corroborates the veracity of this sculpture, including the unusual ears. So look out for my revelation in a future ShukerNature article! Although reports of sauropodian cryptids are less numerous from South America than they are from tropical Africa, they are by no means unknown. When traveller Leonard Clark journeyed up Amazonia's Perene River in 1946, for example, he encountered several tribes of Indians east of the Ucayali who described to him gigantic long-necked beasts of plant-eating persuasion that recalled the giant sauropod Diplodocus. In 1975, while holidaying in the Amazon, a Geneva businessman (name unknown) met Sebastian Bastos - a 75-year-old guide who, by a lucky coincidence, had been educated in Switzerland and was therefore able to converse fluently with him. During one conversation, Bastos stated that some of his Indian acquaintances had claimed that beasts of this type frequent certain deep water holes in the jungle's heartlands, and occasionally come out onto land at night. Their heads, necks, and backs are about 18 ft long, and the Indians take great pains to avoid them. "...some mysterious and enormous beast has frequently been disturbed in the swamps - possibly a primeval monster like those reported in other parts of the continent. Certainly tracks have been found belonging to no known animal - huge tracks, far greater than could have been made by any species we know." The mention of tracks suggests footprints - which favour dinosaurs over flippered plesiosaurs - but little else can be deduced from such a brief description. "A friend of mine, a trader in the rivers and for whose honesty I can vouch, saw in somewhere about Lat. 12 S. and Long. 65 W. [Bolivia-Brazil borderland] the head and neck of a huge reptile of the character of the brontosaurus. It was a question of who was scared most, for it precipitately withdrew, with a plunging which suggested an enormous bulk. The savages appear to be familiar with the existence and tracks of the beast, although I have never come across any of the latter myself...These swamps over immense areas are virtually impenetrable." According to media reports from early 1995, a party of geology students investigating quartz deposits in the Sincora Mountain range of eastern Brazil had lately spied two strange dinosaur-like creatures bathing in the shallows of the Paraguaçu River passing through the Plain of Orobo. According to these eyewitnesses, the animals were each around 30 ft in total length, with a huge body, fearsome head, a long neck measuring approximately 6 ft, and an 8-ft tail. THE MBIELU-MBIELU-MBIELU AND CO - SURVIVING STEGOSAURS? In addition to the mokele-mbembe and the emela-ntouka, a third dinosaur-lookalike of the Likouala swamps is the mbielu-mbielu-mbielu. According to one of its alleged eyewitnesses - a young woman called Odette Gesonget, from the village of Bounila - this triple-named anomaly is a semi-aquatic creature "with planks growing out of its back". In a bid to identify it, Roy Mackal showed Gesonget several illustrated books depicting animals from the present day and also from the distant past - the picture that she unhesitatingly selected was that of the prehistoric plate-bearing dinosaur Stegosaurus. Comparable descriptions were offered, independently of one another, by natives encountered elsewhere during Mackal's Congolese travels too. Yet there is no suggestion from fossil evidence that stegosaurs exhibited any aquatic inclination. It is possible that this beast, whatever its taxonomic identity may be, is one and the same as another mystery animal from the Likouala swamplands - the nguma-monene, reported from the Mataba tributary of the Ubangi River. According to native descriptions, it resembles a colossal snake (at least 130 ft long! ), but bears a serrated ridge along most of its body's length consisting of numerous triangular protrusions, and can walk upon land, with a low-slung body and forked tongue. Could this be a snake-like dinosaur, or, alternatively, a primitive reptile descended from the ancestral forms that gave rise to lizards and snakes? Mackal favours a single, very large, and radically new species of monitor lizard as the most satisfactory explanation for both the nguma-monene and the mbielu-mbielu-mbielu. Nonetheless, the latter's stegosaurian suggestions are evidently difficult to dismiss absolutely - as he confessed in his book A Living Dinosaur? (1987): "For me, mbielu-mbielu-mbielu remains an enigma." IT’S THE DINOSAUR KANGAROO OF ARICA! It’s always good to learn of a novel cryptid, and Chile’s Arica Beast is novel in every sense! As recounted in a number of media articles from 2004, several different motorists driving along the main road linking Iquique and Arica, through the Atacama Desert, have reported witnessing an extraordinary bipedal creature over 6 ft tall, with sharp teeth and three-toed footprints, which has been variously likened to a velociraptoresque dinosaur or even a ‘dinosaur kangaroo’! In the words of one eyewitness, Hernan Cuevas: “A weird animal looking like a dinosaur with two legs and huge thighs crossed the road in front of my car”. Not surprisingly, the local authorities were, and remain, very puzzled. THE NGOUBOU – A SECOND CONGOLESE NEO-CERATOPSIAN? 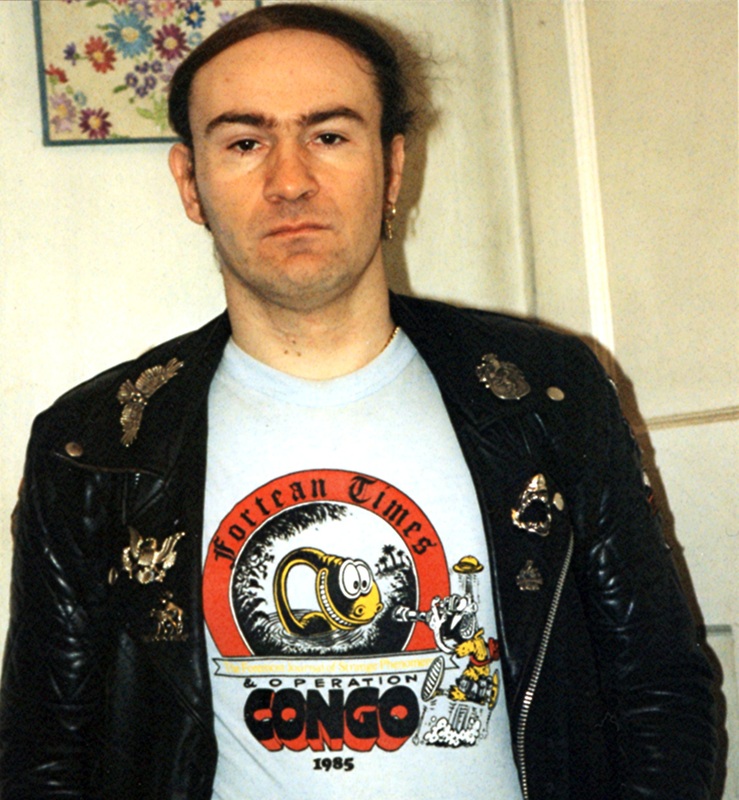 When Bill Gibbons conducted his initial expedition to Cameroon in November 2000, he discovered not only that this country apparently possessed its own version of the mokele-mbembe but also that it allegedly harboured an extraordinary horned mystery beast akin to but even more spectacular than the emela-ntouka. Looking through pictures of living and fossil animals, the local Batu people and pygmies pointed to pictures of prehistory’s famous three-horned ceratopsian dinosaur Triceratops, and stated that a beast somewhat similar to that animal lived here. They called it the ngoubou, and claimed that it inhabited savannah areas to the west of the Boumba River. It is also known in the Sanga region near the Central African Republic. They stated that it was the size of an ox, sported a large frill around its neck (which differs slightly in the female), a beaked mouth, and bore several horns, but in a different manner from those of Triceratops. 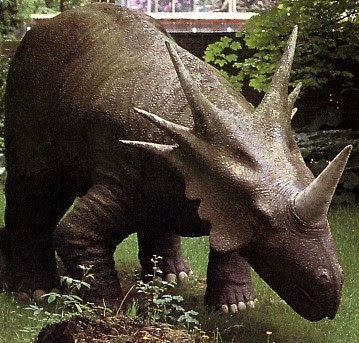 This baffled the team, until one of the locals drew an image of what the ngoubou looked like, revealing that it bore a series of six horns around the edge of its frill, which, as team member John Kirk later realised, made it look irresistibly similar to a ceratopsian called Styracosaurus. As this particular fossil dinosaur was not depicted in any of the pictures shown to the native people by the team, they clearly had not been influenced in that way, thus making the correspondence all the more remarkable. 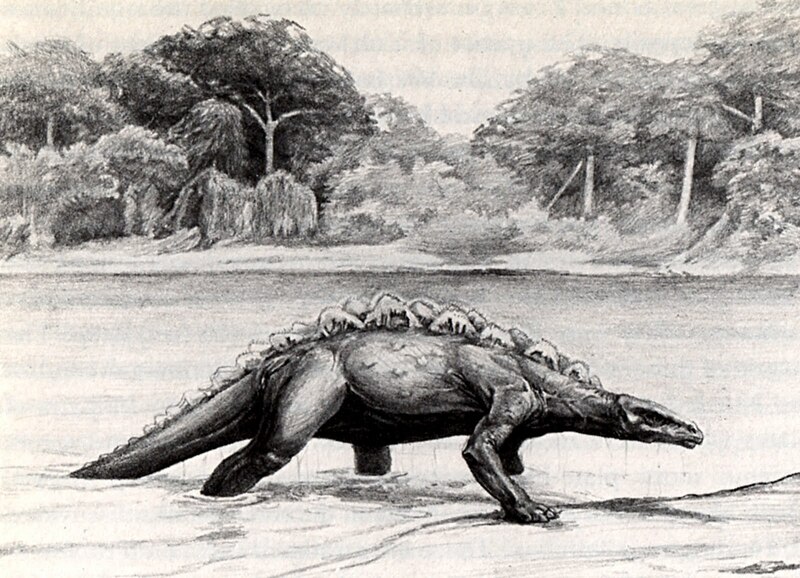 Of course, based upon current palaeontological beliefs, many of the creatures reported here display lifestyles very different from that of their purported prehistoric antecedents, especially with regard to the frequent claims by eyewitnesses that these neo-sauropodian, neo-ceratopsian, and neo-stegosaurian cryptids are amphibious. 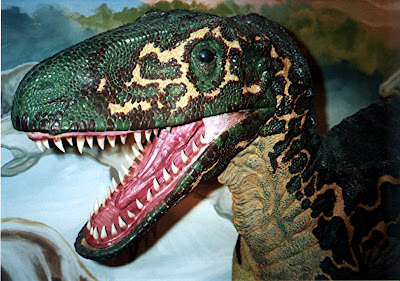 If, however, such mystery beasts are truly modern-day dinosaurs, this means that they have undergone 65 million years (or more) of continuous evolution from their fossilised antecedents, which may conceivably have engineered all manner of behavioural and ecological as well as morphological changes, so such lifestyle discrepancies or deviations would by no means be implausible or, indeed, unexpected. Nevertheless, as with all cryptids it is unwise, pointless even, to speculate too specifically in relation to these mystery beasts' zoological identities without any physical, tangible evidence to examine. And, unfortunately, they all appear to exist amid some of the world's most inaccessible and inhospitable localities. Let us hope, therefore, that one day soon, a future expedition by Bill Gibbons or some other tenacious, enterprising explorer will return with this long-awaited proof of their reality, and then at last we shall know the true identity of at least one of this ShukerNature article's tantalising selection of anachronistic anomalies. The last of the dinosaurs, or merely the first of an entirely new flourish? Who can say? 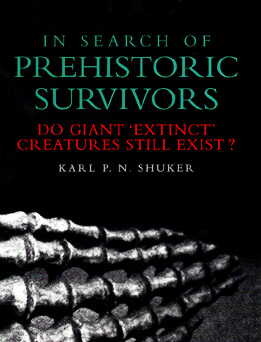 For an extensive survey of putative living dinosaurs worldwide, check out my book In Search of Prehistoric Survivors (1995). 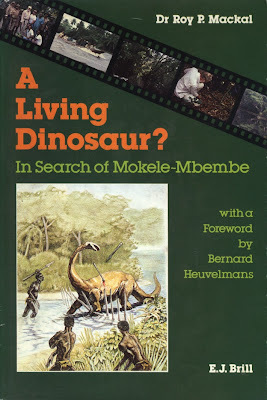 "Of particular interest is that when a range of animal images have been shown to the natives in an attempt to gain more information concerning the mokele-mbembe's appearance in the hope of identifying it, the images consistently claimed by alleged eyewitnesses to be closest to it have been ones depicting sauropod dinosaurs from prehistory (...)"
I distinctly remember a documentary on German TV (alas, I can't remember the title) in which pictures of dinosaurs as well as those of other big animals that presently don't live in the area were shown to a group of pygmies who claimed they knew about mokele-mbembe. They became very agitated when the researchers showed them a picture of a rhino and identified it as mokele-mbembe. The researchers explained this as the result of a change in climate and vegetation that occured in the region some 2000 years ago. The tales of a big, potentially dangerous animal survived even when the animal itself had vanished from the area. Yes, but the inherent problem here, as reported by some of the Western explorers investigating m-m in the field, is that on some occasions the native people have used the term 'mokele-mbembe' to refer to the emela-ntouka too, or have even conflated the two cryptids. This could therefore explain why the natives in the programme were agitated when shown photos of the rhino (the emela-ntouka is infamously aggressive) and identified it as m-m. Anyway the Arica's story sounds like something taken right from Crichton's Jurassic Park ! For some reason this article also reminds me the dreadful fate of the kayaker Hendrik Coetzee, what happened to him is worthy of a movie scene...Jeremy Wade should go inspect this river ! 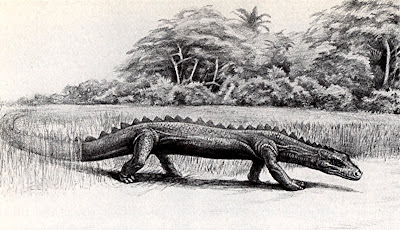 @Bos - The drawing looks like a long-necked sauropod, not like a varanid, and V. bitatawa is the exception, rather than the rule, among varanids in being frugivorous. Most telling of all against a varanid identity for the m-m, however, is that varanids are already known to exist in this region of the Congo and are therefore familiar to the locals. Consequently, if the m-m were nothing more than a giant varanid, surely the locals would describe it as such, and recognise it as such, whereas in reality their accounts describe something very different from any known varanid (either in life or in the fossil record). However, as I note in the article, speculation is ultimately futile, what is needed to be certain is physical evidence that can be scientifically analysed. Until then, m-m remains an enigma. Has anyone ever thought of searching Google Earth for signs of large unknown creatures in these inaccessible places? Or, are the images not "zoomable" enough in those places to be of any use? @Kent - Good question. I fear, however, that they may indeed not be zoomable enough. Having said that, however, I recall something about a mysterious object on the surface of Loch Ness being spotted via Google Earth a while ago. A fascinating and wide-ranging article! 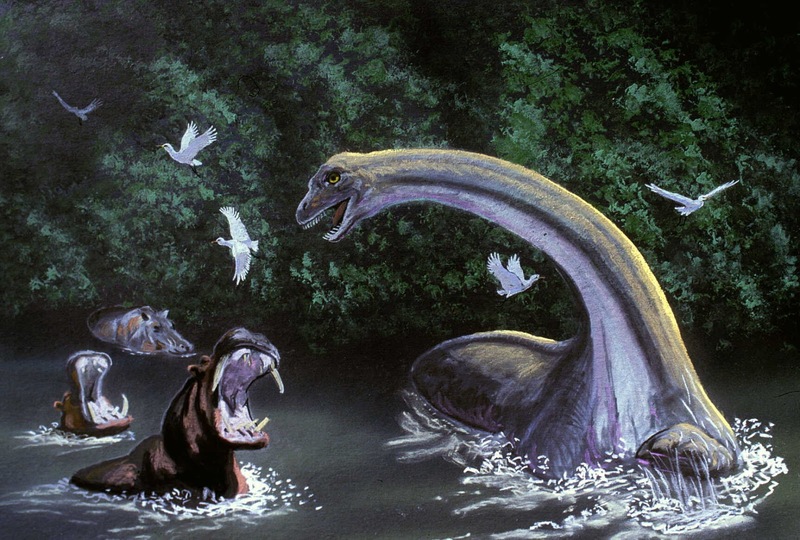 What are your thoughts on mokele-mbembe's aquatic nature, given that it would seem sauropods were not aquatic (in spite of so many apparently misguided illustrations from treasured childhood books)? It seems odd to me that the putative dinosaurs of the Congo are aquatic, a characteristic not known to be shared by their prehistoric ancestors. The frequent association of the mokele-mbembe and the mushussu also surprises me, as the mushussu has avian talons on its hind limbs and seemingly feline forepaws, while the mokele-mbembe has elephantine (or sauropodal?) rounded feet. This could of course be dismissed as poor transmission of information and artistic licence, as could the mishussu's stringy, unreptilian tail. But how much can we dismiss in such a way before it becomes hugely more likely the two beasts are unconnected? 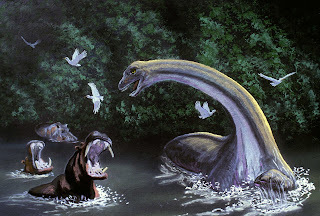 Lastly, what do you think of the mokele-mbembe's predilection for slaying hippos? This seems an integral part of many of the stories of the Congo's dinosaurs, but while it seems plausible for some ceratopsian monster, I find it hard to imagine what weaponry an average sized, quite small headed sauropod could wield that would be a formidable threat to a tough hippo. Are there any mammalian contenders for the identity of mokele-mbembe? 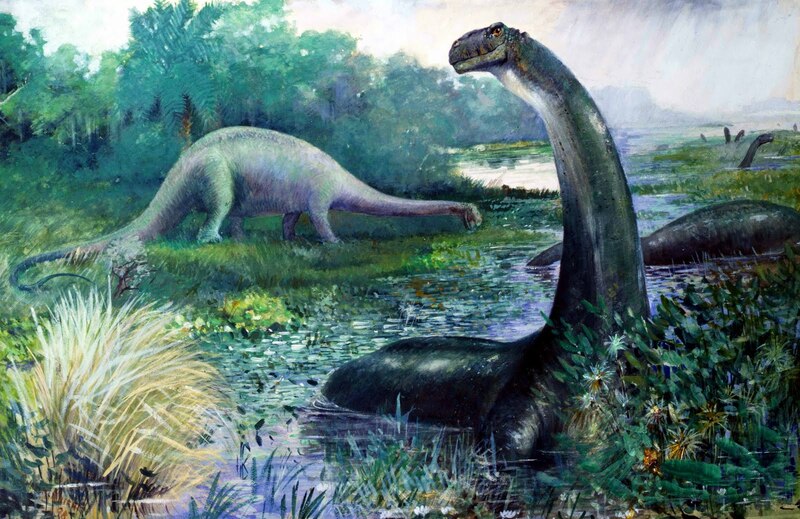 I do not agree with the current consensus that sauropods were not marsh dwellers. In hotter and wetter climates those African swamps would have been large enough to include those areas where the fossils are now found. The sauropod's tail seems an excellent weapon against crocodiles and hippos. I suppose it's also worth remembering the fossil record isn't complete enough to generalize with certainty about the preferred lifestyles and habitats of all sauropods. With respect to the tail, there is a big difference between seeing off an irascible hippo, and gaining a reputation for leaving them cleanly slaughtered, which I doubt a sauropod described as being in size between a hippo and an elephant would be capable of. I'd rather settle for Dr Shuker's explanation that hippo slaying has been grafted on to Mokele Mbembe from another beast. pygmies seem to have all the luck :) The other part of the article that I found interesting was the apparent similarity (appearance) between a Styracosaurus and a Rhino - one a reptile, one a mammal. I'm sure the rhino would have been a bit envious of the frill. Back in the 30's, stories like these must have been fascinating to young boys, thinking some day they'd go and seek out these living dinosaurs. Now, with most areas at least *somewhat* well explored, it seems likely they were just tall tales. Hard to believe anything really BIG lies undiscovered, other than Bigfoot himself ! In reality, there are still great swathes of territory that remain scarcely explored by Westerners, and the Likouala swamplands of the People's Republic of the Congo are an excellent example of this - truly immense (over 66,000 square km in area! ), inaccessible, inhospitable, the ideal terrain for concealing even large unknown animals today. West Irian, the Indonesian half of New Guinea, is another good example of near-virgin territory, as the discoveries of some remarkable new mammmals there in recent years has confirmed. And as for the heart of the Amazon jungles - as long as these regions can avoid deforestation or other incursions and destruction by our own species, there is hope that surprising new species will indeed be found there. Check out my book The Encyclopaedia of New and Rediscovered Animals (2012) to see what has been uncovered lately. it is fun to know there are still such areas, I can see based on the document (link below; interesting reading) that's it's an area of roughly 180 miles x 120 miles, which is certainly huge. Too bad nobody can donate hundreds of cheap (and I've seen them for as little as $2) disposable cameras to the natives, with the enticement of a huge reward and fame and fortune for anyone who can get a picture (before fleeing for their lives). 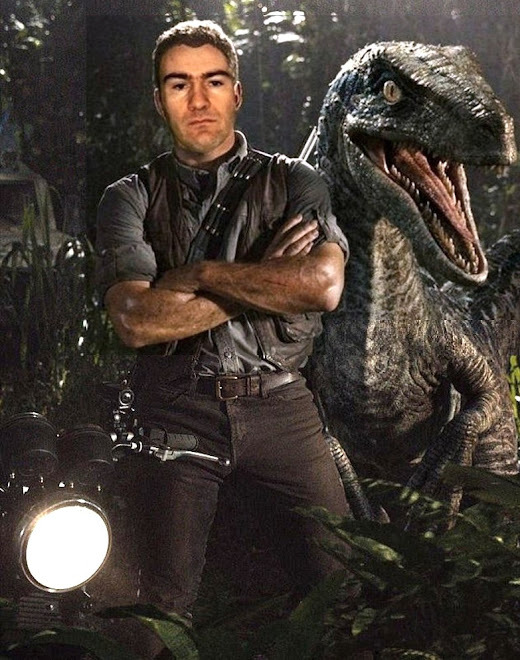 I think the prospects of hoaxing is far less when it comes to dinosaurs, as compared to bigfoot. It is a common criticism of cryptozoology that large creatures could no longer exist undiscovered in wild parts of our densely explored world. However, it's worth bearing in mind that the BBC Planet Earth team took three years to get any worthwhile footage of snow leopards, in a bleak, unforested landscape. Spending three years and a lot of the BBC's money searching for a creature that you know inhabits a certain area is one thing, but finding funding for even a few weeks to search for a creature that most would say was a long shot is quite another. In Making Of Trials of Life (I think it was) Attenborough talks about how in a rain forest you can here animals all around you, but can't see any. Most wildlife documentary makers rely on people who have been studying their target species for years in order to find and film them, yet still it's often an enormous task with all the modern technology and expertise available to them. I once thought it unlikely that large, undiscovered animals may still inhabit the world's forests, but now I think it would be odd if they didn't. There is the Partridge Creek encounter that I document in my Prehistoric Survivors book, but this was unquestionably a hoax. There are the so-called 'river dinosaurs' too, bipedal lizard-like beasts that sound similar to the one mentioned in your link. I don't think they're dinosaurs - I simply can't imagine how a raptor could have survived in North American unknown to science. Possibly sightings of large escapee/released monitor lizards, which can run bipedally over short distances. Africa is the home to numerous cryptids. The Lukwata of Lake Victoria is one of the most fearsome being anywhere from 12 feet to 100 feet long. It could be a fish or a whale. It makes bellowing roars and kills and eats large Crocodiles. It attacks canoes and has killed people. The Lau is a similar cryptid. The Chipekwe the Dingonek the Nandi Bear the Mngwa the Kongamato the Pongo the Nguma Monene the Water Elephant and most famous of all the Mokele Mbembe are all mystery beasts. Ivan Sanderson encounterd a fearsome creature in Mainyu River in Cameroon. He said the head alone was the size of a Hippo. If true then it could not be a Mokele Mbembe as the Mokele Mbembe and sauropods have small heads. Perhaps Sanderson mistook the animals torso for its head. After all he didnt get a good close up view as it was too dangerous. Sanderson and his crew chose not to stick around but sped away in their boat. What really did he see? Mokele Mbembe is a herbivore but its very aggressive and territorial. It kills people coming near it and it kills Elephants and Hippos. Hippos are absent where Mokele Mbembe hangs out. If this animal is not a Dinosaur then its a Reptile in an order of its own or it could even be a Mammal of some kind. I think its some kind of Reptile more like a Dinosaur than a Lizard. People are advised to give these animals a wide berth. It really is a Lost World out there in places such as Africa New Guinea Java Borneo Sumatra Thailand Malaysia South America Central America Mexico India and Australia. The original 1933 King Kong is not so fictional. The world still has unexplained mysteries in it. Author Loren Coleman has interesting books about Bigfoot and all the mystery man-apes throughout the world. The Orang-pendek of Sumatra and the unknown wild peoples throughout the world. In the Hawaiian islands there are reports of wild peoples. The Menehune build structures while the Mu people eat wild bananas. They are reported to steal food from campers. The Mu are prevalent on Kauai along the Wailia River and in Wainiha Valley and along the Napali Coast. 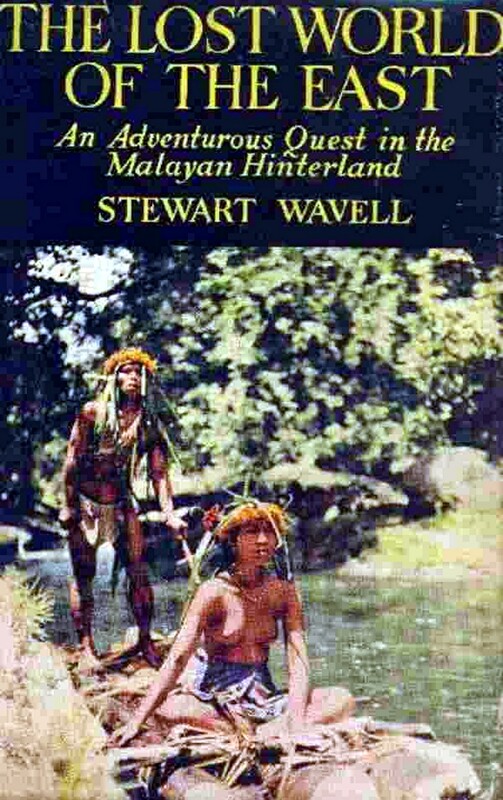 Similar dwarfish wild people are said to live on the Micronesian island of Ponape. These unknown wild people are said to be vengeful. 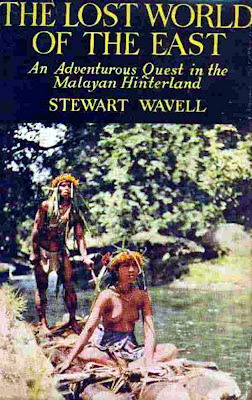 The Hawaiian Wildman or Nawao did not associate with civilization. Author Martha Beckwith mentions them in Hawaiian Mythology. Some speculate that the Mu people came from either New Zealand or as their name suggests came from the sunken continent of Mu and somehow made their way to the Hawaiian Islands where they still live. The Night Marchers are said to be a procession of flute players. Encountering them at close quarters is said to be deadly. The Waas and the Eepas are also wild unknown people living in the wilds of Hawaii. I try so hard to be a skeptic, but then I read ShukerNature, and I just can't stay skeptical! How is it that you can convince me that there are living dinosaurs roaming the world!?! Dr. Naish also said in that same article that many prehistoric animals suggested as cryptid candidates are unlikely to have changed much in 65 million years because the nature of their evolution was very conservative. What do you think, Karl? Hi Joe, Yes, I've read Darren's article. You must remember that alleged living dinosaurs are reported almost exclusively from tropical swamplands, which are notoriously poor fossiliferous regions, as well as being extremely difficult terrain to examine for fossils anyway. So even if there were post-Cretaceous fossils there, which is unlikely in any case because of these regions' poor fossiliferous nature, it would be very difficult to uncover them. As for many prehistoric animals suggested as cryptid candidates being unlikely to have changed much in 65 million years because of the ir evolution's nature was conservative: if so, this is surely a plus for their candidature as cryptids, bearing in mind that certain cryptids do seem to resemble outwardly various Cretaceous or pre-Cretaceous fossil species. Did you know that Roy P. Mackal passe away last september? Yes I did - very sad news. Roy was a good friend and a true pioneer of cryptozoology - he will be very greatly missed. My sincere condolences to his family. Ug.. I need to start a drinking game where you drink a shot every time you read '65 million years'. Sorry to revive a 65 million year old zombie thread. ^^ ..I just had to though. Not sure if you're aware but the carbon dating method has finally been thrown out the window, where it belongs. You can scratch off every date on this page that says '65 million years' and replace it with ~15,000 years (between 10-20,000), likely over 12,000. They've found embedded dinosaur tissue (muscles, blood vessels, blood) and surviving bone marrow cells and etc. in multiple digs literally around the world, in layers on the order of '65 million years old'. This proves conclusively that the carbon dating method is utterly unreliable. Of course, the man who invented the method told us that originally, but modern day 'science' decided to ignore the fact. Thanks for your comments, but considerations re carbon-dating are irrelevant here, because the oldest dates that can be reliably measured by this process date to around 50,000 years ago - so 65 million years ago is far too back in time for this process to of use anyway and is not used therefore in relation to dinosaur fossils by palaeontologists. The tissues etc that you mention are not fresh tissue, liquid blood, etc but fossilised tissue, blood, etc. My favourite criptid is the dog man. what is yours and have you had an encounter. I've always been fascinated by reports of the Mongolian death worm, and also the mokele-mbembe and Nandi bear, but there are so many other cryptids that fascinate me too, so difficult to choose just one out of so many. I've never seen a major cryptid, but I did encounter an unexpected giant rodent once, which I've documented elsewhere here on ShukerNature, and also a still-unidentified giant mantis in Africa that again I've documented elsewhere on here.